In the fast pace era of today, increasing distances also have increased the importance of time. This is the reason why vehicles of transportation are also getting improvements. Motorcycles are one of the basic vehicles which are in high demand among consumers today. The reason found behind their popularity is their fuel efficiency and durable build quality. Many consumers wish to buy a brand bike which is fully equip with high specs and features. In this regard, United bikes are quite famous in the Bikes industry of Pakistan. These bikes are one of the bestselling midrange motorbikes in Pakistan. The reason behind this is they are available at competitive rates as compared to other brand bikes. So, if you are short on budget and want to buy United motorcycles, don’t worry Dreams.pk is here. Here you can buy your favorite United bike both on cash and EMI online. United bikes are being vastly sold in Pakistan, as they can fulfill the needs of travelling for consumers. Dreams.pk is offering reasonable EMI plans for its consumers to buy United bikes on monthly installments in Pakistan. The owner of this online leasing site is Awais Farooq, who is also founder of Comparebox.pk. Here on this site, no matter which United bike you want to buy, you say it and they have it. Consumers who wish to buy United bike new model, but don’t have money, don’t worry Dreams.pk have you covered. Along with United bikes, consumers can also buy Led TV, home appliances, Mobile and other products both on cash and lease. Today, online shopping has become secure and now is in reach of people all due to Dreams.pk. 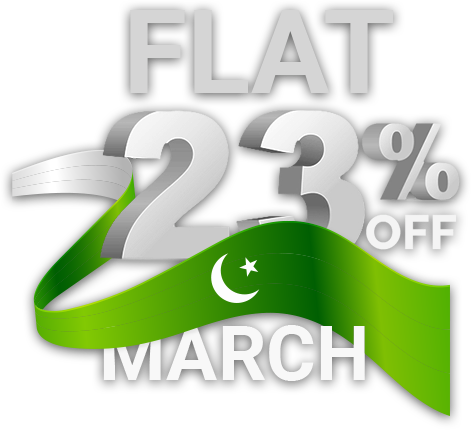 Here on this site, consumers can enjoy easy monthly installments services in Pakistan on a variety of products. No matter where you are, you can effortlessly buy your product on easy monthly installments on Dreams.pk. Here on this website, you can buy any United bike on installments with zero down payment effortlessly. The bikes sold here on cash and EMI are given through a dependable channel. To buy this brand bike on cash or EMI online, simply visit our motorcycles category. Select United brand and you will redirect to the United bikes page. Here on this page, you can see the bikes of this brand available on cash and monthly installments. If you need to buy a bike on installment, simply select the installment plan and click on proceed. Within a few days, you get a confirmation call from our business representative for order confirmation. After that a team will visit you for verification of your documents. After this procedure, the product will be delivered to your given address. No matter which model United bike you want, you can get it here both on EMI and cash. Dreams.pk is also offering zero markup facility on several products for the convenience of its customers. We provide complete guarantee to our consumers that the EMI online procedure on our site is fully secure. Hence you don’t need to worry about the misuse of your information you provide us. Dreams.pk proves to be a life saver for consumers who wish to buy top brand products but don’t have the money to buy them. We suggest this site to such customer as here they can fulfill their wish of buying top brand products. Many of us may have experienced once or twice in their life of doing online shopping and getting fooled. However, at Dreams.pk this is certainly not the case, as here you get genuine products with official warranties. Like other online stores, this website doesn’t make fake promises or deliver average or non-genuine products. We have contacts with top brand product companies which assures our consumers that they get genuine products. No matter if it is a bike or a mobile, the consumer will get official warranty of that product. This surely provides mind satisfaction to the consumers who have craze of doing shopping online. Dreams.pk offers affordable installment plans on United motorcycles, which is not offered on other sites. All you need to do is select your installment plan according to your budget and you are good to go. People who don’t have the time to visit market or are afraid of buying products on EMI online, Dreams.pk is the perfect solution for them. This site helps the consumers to save their valuable time and money. Now you can effortlessly buy your favorite mobile, LED, home appliance on easy monthly installments in a secure manner. The process is as simple as within a few clicks you can buy your product on EMI as well as on cash. Competitive prices are offered for a variety of products, which attracts consumers towards this site.